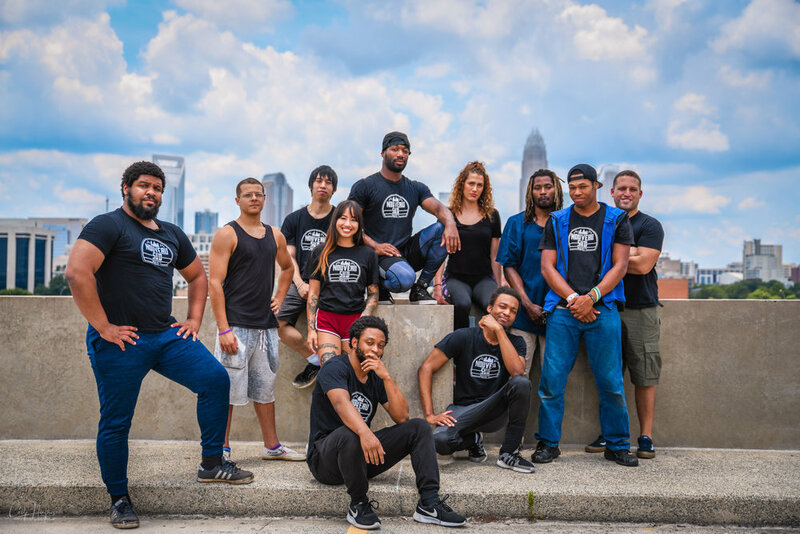 Nouveau Sud is a contemporary social circus initiative rooted in the “underground” dance/acrobatic/physical theatre scenes present in the vast array of cultures in the urban regions of Charlotte. Through physical language — dance, movement, and circus — these communities tell stories of their struggles, histories, traditions, transformations, and iconography, as we examine the idea of what it is to be a citizen of the ‘new’ south. The Nouveau Sud Project strives to create meaningful and thought-provoking dialogue on social issues, that often times are not addressed, through the use of movement, acrobatics, spoken word and other various physical art forms. This diverse group of artists, brought together by director Carlos Alexis Cruz, aspires to help the community progress by celebrating the creative process and staying available to the populace. Nouveau Sud accomplishes this by staging public rehearsals, previews of shows and open practice times — as well as utilizing any other opportunities to grow, be accessible, and facilitate conversations on pressing societal topics.